Mermaids are beautiful, exotic and delightful to daydream about. Who doesn’t envy their ability to glide through the water like a fish and experience the oceans in a way we can only dream about. Maybe that’s why The Tale of Emily Winsnap captures my heart so much! This very fun book by Liz Kessler takes us under the sea for a little mermaid fun. Emily Windsnap lives on a boat with her mother in California. Even though she’s lived an entire lifetime on the water, she has never been in the water. 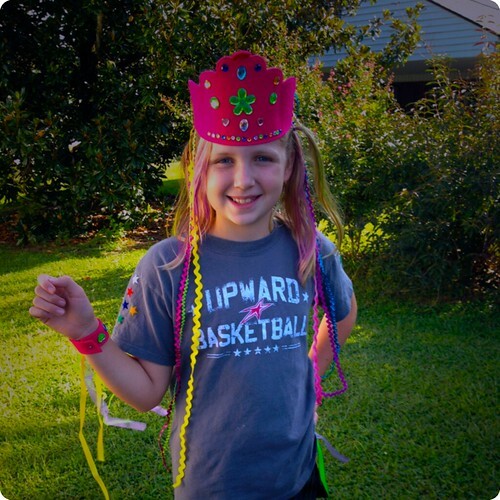 Yes, it’s true, Emily Windsnap, age 12, has never swum day in her life. Imagine her surprise while in her 7th-grade swim class her legs fuse together into a tail. As if being a 7th grader wasn’t awkward enough she had to go and grow a tail. As much as she tries to hide her strange affliction by avoiding swim class, the shimmering nighttime water calls her none the less. Her nightly adventures has her gliding through the water as a mermaid where she meets 12-year-old-Shona, who also happens to be a mermaid. Shona takes Emily to mermaid school where she learns of the Shiprock community where illegal marriages between humans and merfolk take place. Through many encounters, discoveries, and adventures, Emily learns that the father she never knew is actually a merman, which makes Emily half mermaid. Her father is being held in prison by Neptune for marrying a human woman, Emily’s mother. Can Emily find her father? Can she free him from Neptune’s prison? I’ll never tell…but I will share that this is a very lighthearted and imaginative tale that will have many young readers wishing they too were half mer-person. Getting your bearing under the sea with a tail might be really challenging. Try this very fun pool game which will have you swimming like a mermaid. Shark and mermaids is an easy game. One person is chosen to be “the shark”, and stands at one end of the pool. The rest of the group (Mermaids) start at the other end of the pool. The object is for all the mermaids to swim to the other end of the pool and back again. The shark tries and tags the mermaids, at which point a mermaid becomes frozen. The only way for a mermaid to become unfrozen is for another mermaid to tag her or him. The mermaid/man who makes it back to their end of the pool wins. 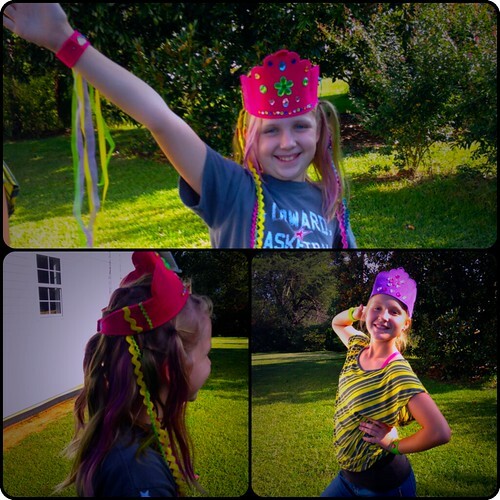 At Mermaid school, young mermaid’s are encouraged to learn about the life around them. Since they are mermaids this would be happening under the water. 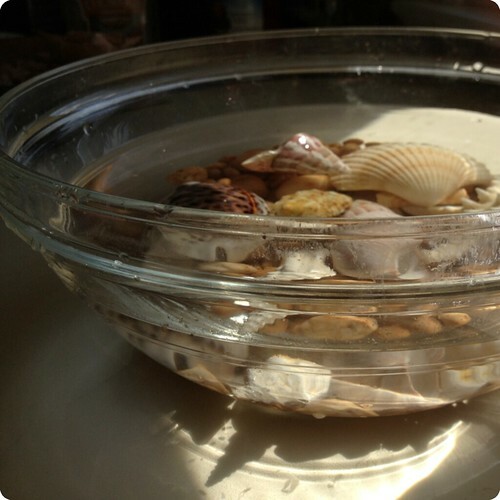 Making a water sensory bowl or tray is a wonderful way to feel and observe creatures, plants, rocks, and shells from a Mermaid’s world. Take a bowl. I prefer to use a glass one so I can see under the “sea”. Place a layer of sand at the bottom. Add some smalls stones or pebbles. 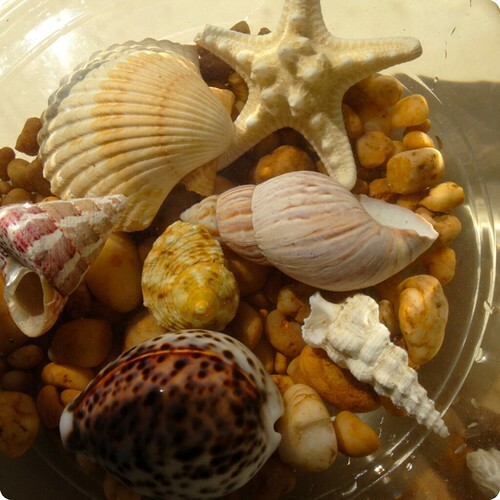 Pick some favorite sea-shells and coral to place on top of the stones and sand. Add water. 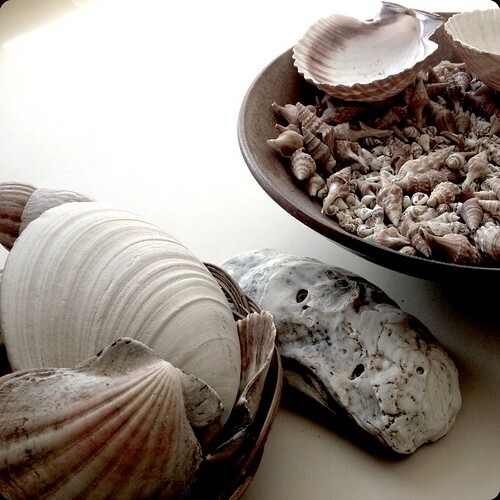 If your shells are hollow and floating to the top, fill them up with water and they will stay under the water in the bowl. After your sensory bowl is done. Let your children play with it by feeling the different textures and shapes. I like to use a blindfold as well and let them speak about what they are feeling. It’s important to note that some shells can actually cut fingers. Make sure you place shells with rounded edges. Just like Emily, anyone can become a mermaid once they have their own tail. Here’s a fun idea to make a tail for your favorite doll. I don’t know about you but if I’m going under the sea to be a mermaid, I’m going as a princess. One would need a wonderfully fashioned crown for that, yes-yes? Have at it and I hope to see all of my mermaid friends in kind waters. 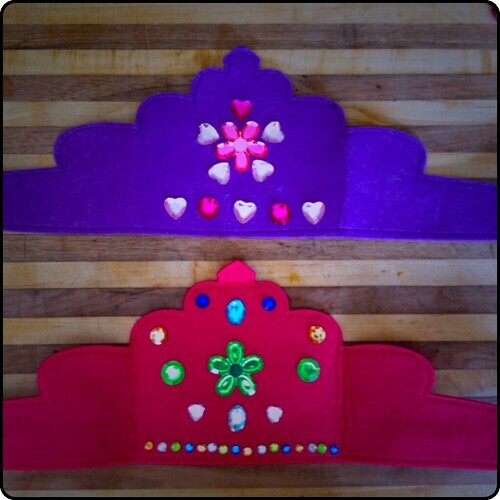 Felt crown. You can make one or buy them already made at a hobby/craft store. Felt cuffs which can also be found at a hobby/craft store or very easy to make. 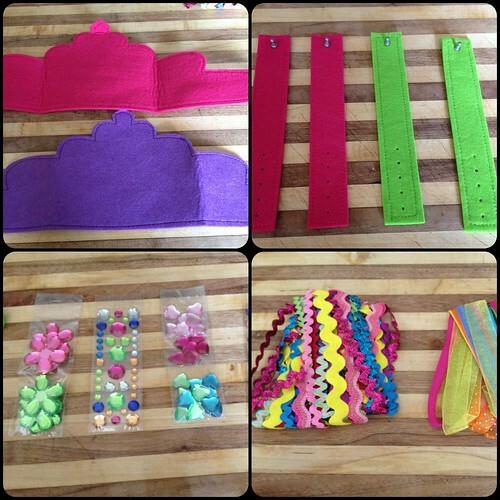 Next, bejewel your crowns and cuffs with your sequins and jewels. Add long streams of ribbon by tying a square knot on the underneath sides of both the crown and the cuffs. OH my GOODNESS!!! Your new header is FANTASTIC!! Absolutely magical. Now to read the post! Thanks so much. We love it too !!!! !